drop-in installation on existing metric sized tunnels. 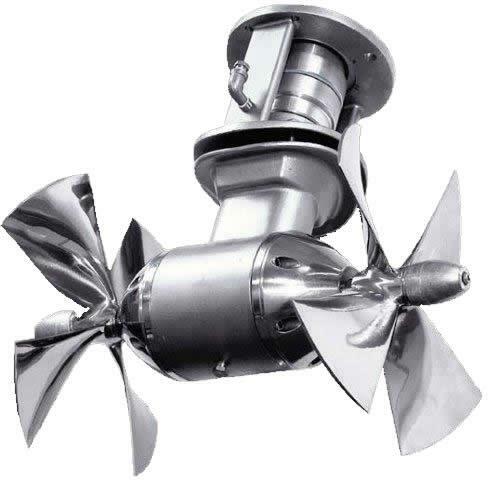 Both the V2-7 and V2-10 M models replace Max Power, Side Power, and Vetus Thrusters. WESMAR’s proportional DC electric thrusters provide the advantages of continous operation and proportional control. This allows the operator to apply the appropriate thrust for the docking operation without worry of thermal shutdown of conventional DC systems. WESMAR’s direct drive DC electric thrusters are available in two motor sizes and include the standard solenoid on/off switch control. Hydraulic Drives: WESMAR hydraulic systems are the result of years of experience utilizing load sense pumps, piston motors, proportional control valves, high and low pressure filtering, various sensing devices and a variety of tanks to fit space requirements. AC Electric: WESMAR provides AC electric thruster drives from 25 to 350 hp using reversible motors, frequency drives, and up to 5 fully proportional control stations.